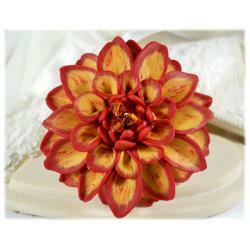 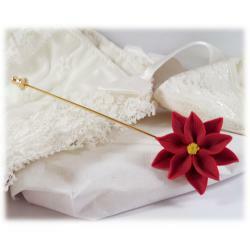 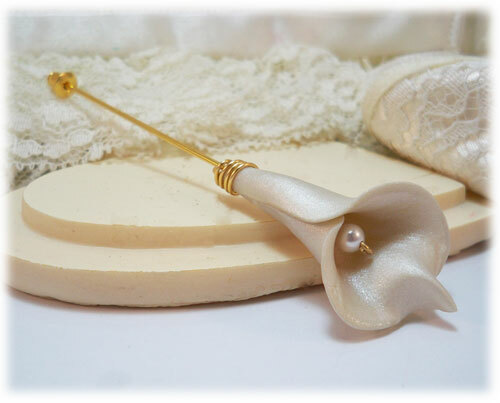 This hand sculpted Calla lily brooch is available in many colors. 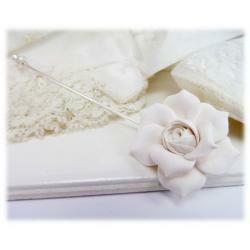 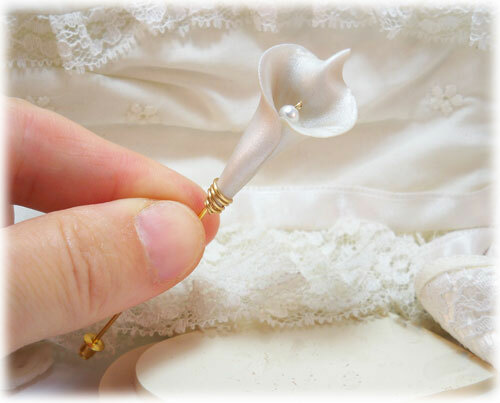 The flower is decorated with a wire-wrapped bottom and pretty faux pearl. 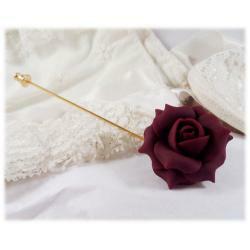 2.5 inch stick pin. 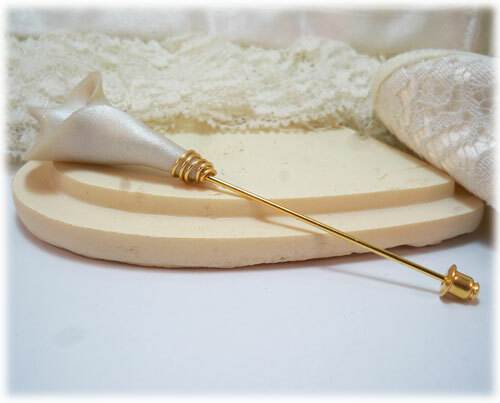 Total pin length is approximately 3.25 inches Choose a silver tone or gold tone pin. 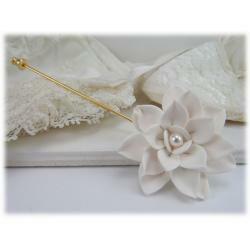 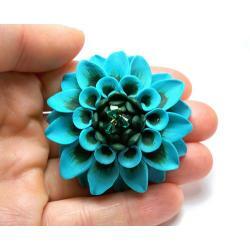 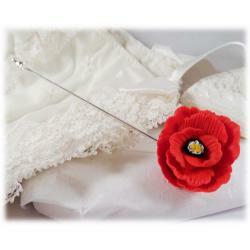 This pin makes a lovely gift whether it's a bridesmaids gift or for a loved one.